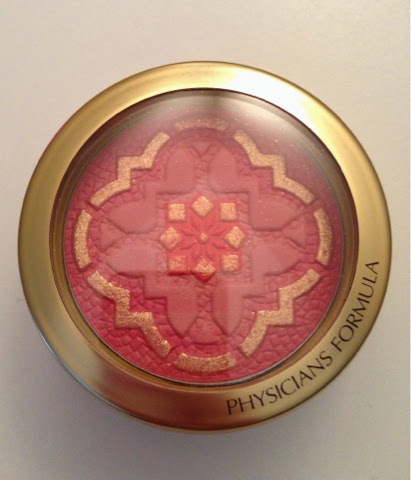 I'm not the biggest Physicians Formula fan as I've had bad luck with several of their products before, but I can't deny that they make some really beautiful looking blushes! 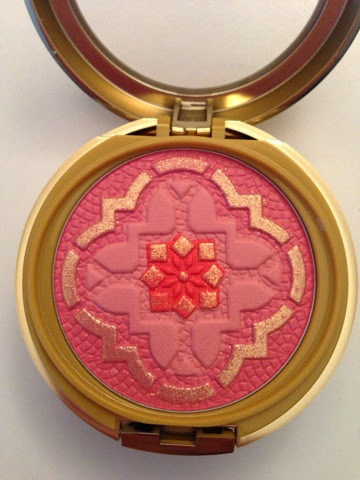 About two weeks ago I placed an order on Ulta for my UD foundation, and of course I needed to add something to my order to get free shipping and came across this blush.and thought it looked gorgeous, so I added it to my cart! 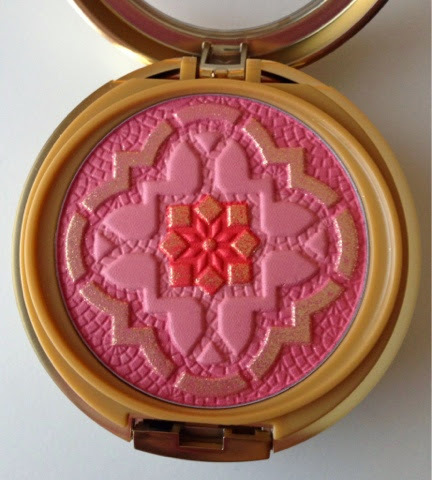 The packaging is standard for a PF blush, The bottom portion has a mirror and brush when you lift it up. The presentation of this blush is gorgeous! I love the design! As you can see in the flash photo the outer design has a gold over spray. This isn't a fine shimmer over spray. I like a little sparkle, but this was quite a large chunky glitter to be honest. There was nothing subtle about it. I looked as though I patted glitter on my cheeks, which I know a lot of people won't like. The plus side is that it's just an over spray and after you remove the sparkles you're left with a gorgeous natural blush. 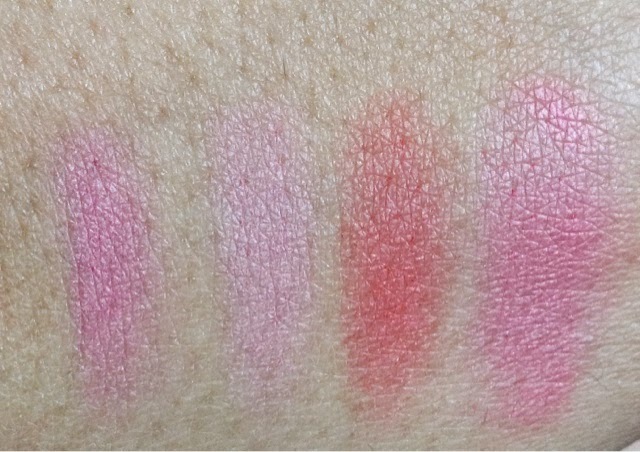 Here is the blush after the over spray has been removed. As you can see it consists of three shades. They are meant to be swirled together then applied. It would be hard to pick up the shades separately to apply a single color, so swirling them all together works best in my opinion. 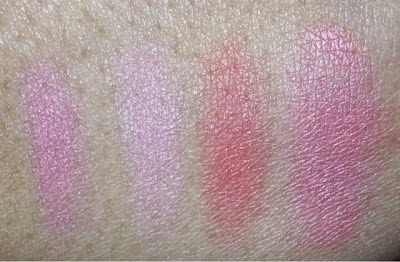 L to R ~ The first shade is the outer portion, second swatch is the second shade in, third swatch is the inner center portion, and the last swatch is all shades swatched together. 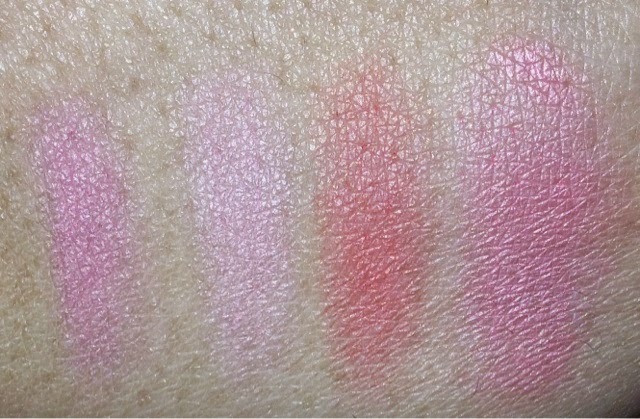 I am definitely loving this blush. I think this would look gorgeous in the Summer time with a tan! 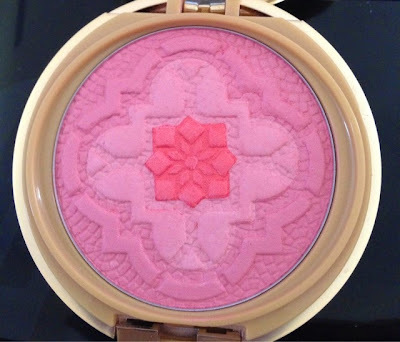 This blush definitely has great color pay off. If you are very fair use a light hand because I can see how this could easily be overkill if applied to heavily. The finish is not matte but not too shimmery either, it gives a really beautiful natural coral glow to the skin. 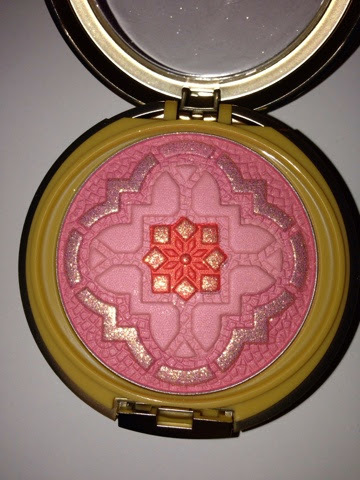 This blush also comes in a pink shade as well, but I tend to wear warmer blushes so I chose this one. The only negative thing I have to say about this is that it is heavily fragranced. It has a strong floral scent. It was the first thing I noticed when I opened it. The scent just hit me hard. It's almost headache inducing, but I have grown used to it. When applied you can still smell it, but after about three to five minutes it fades away. If you can get past the floral scent I definitely think this is worth checking out. 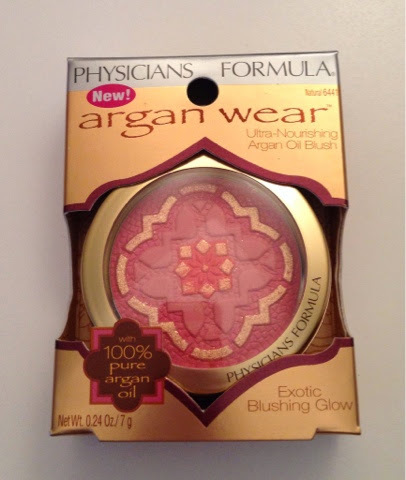 You can find the new Physicians Formula blush at Ulta.com or your nearest drugstore for around $12.